Hiya guys! It's almost time for the weekend of super duper releases, woohoo. I am so pumped and still trying to narrow down my list for Polish Pick Up. It's like a losing battle, haha. For every one I remove, I end up discovering another two I absolutely need. You feel my pain I'm sure, especially with all the sharing I have been doing. Fear not, my enabling is coming to an end as I share my last swatches and post for PPU. Today I have Poetry Cowgirl Nail Polish's contribution to the September Fall Foliage and Fun theme. From the second I saw the bottle shot and inspiration photo on Facebook, I knew I had to have this on my nails. Needless to say, it was the quickest 'YES' to swatching I have ever done. Without further ado, let's get to the swatches! 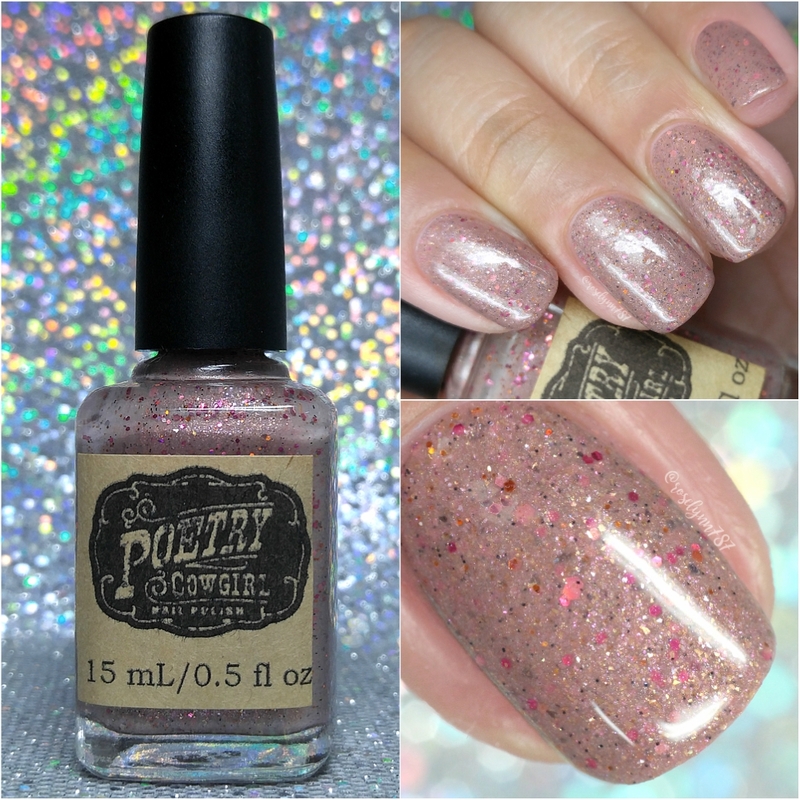 Take Me Home by Poetry Cowgirl Nail Polish will be available for purchase through the Polish Pickup Shop September 1st at 11am EST through September 4th. This full-size 15mL shade will retail for $11.00 each. If you're not familiar with the concept, the Polish Pickup offers a fun, interactive experience that allows you to submit theme ideas, vote for your favorite theme, and selectively purchase your favorite polishes every month. As I mentioned before, the theme that was voted for September was Fall Foliage and Fun! This month Kristen was inspired by a photo of a Fall country cabin. Take Me Home can be described as a mauve toned grey w/ black micro glitters, pink and copper holo glitters, pink and copper micro flakies, midnight black flakies, and a slight pink flash. 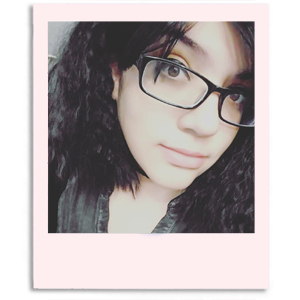 I wasn't expecting to love this one as much as I do against my skin-tone. It's the perfect hue to not cause any clashing or bring out any unwanted undertones. I think the pops of color against the mauve really make a eye-catching combination as well. It definitely does the inspiration photo complete justice! The formula has a nicely opaque application, though it's not quite enough to be a one coater. Consistency wise it does tend to lean on the thick side and makes it tricky to layer. I ended up adding a bit of thinner and was able to get much smoother layering that way. I addressed the issue with Kristen and she will be changing up the formula accordingly for the final batches. Because it's so glitter heavy, this shade dries down to a textured finish but can be smoothed out after topcoat. Shown here in two coats and sealed with a glossy topcoat. Overall this is another lovely addition to PPU this month that not only hits the theme, but looks absolutely spectacular. I definitely appreciate that this shade fit more towards the typically Fall colors, like the ones we first think of for the season. It's also a very subtle tone that makes it wearable for the office whilst having that little bit of a rebel side with the colorful glitters. 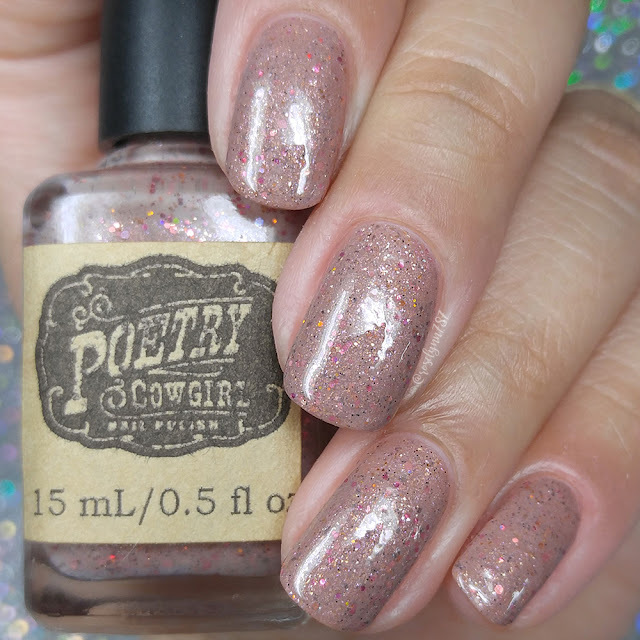 To recap, Take Me Home by Poetry Cowgirl Nail Polish will be available for purchase through the Polish Pickup Shop September 1st at 11am EST through September 4th. This full-size 15mL shade will retail for $11.00 each.